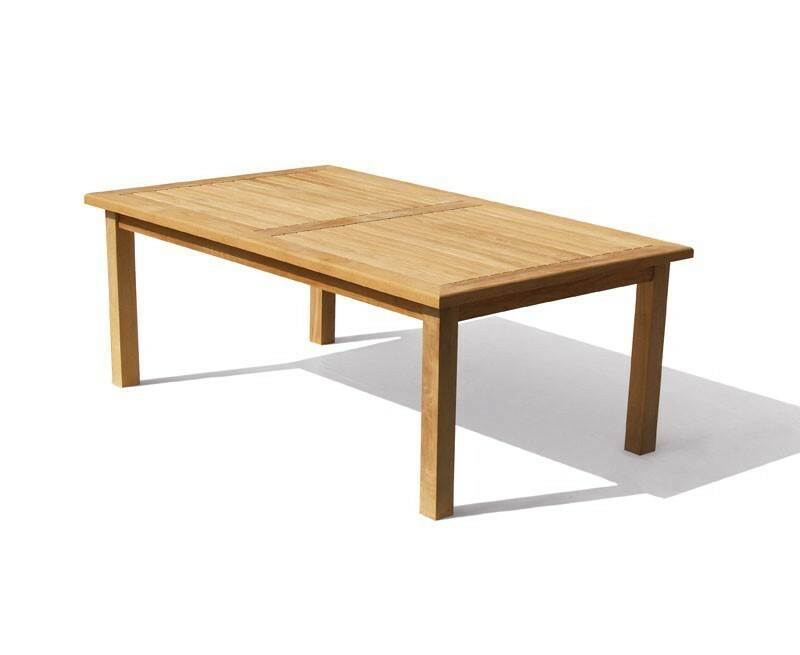 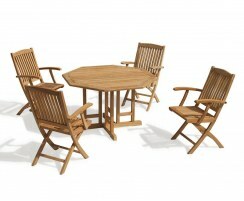 Keep guests entertained with this stylish high-end teak garden table and benches set – for al fresco dining at its best. Offering a relaxed, contemporary element for your setting, this table and benches set is sure to delight your guests. Beautifully crafted in plantation-grown, premium A-grade teak for aesthetic appeal and lifelong durability, this teak garden table and benches set has been built to withstand the most inclement of weather and can be left outdoors year round with minimal maintenance. 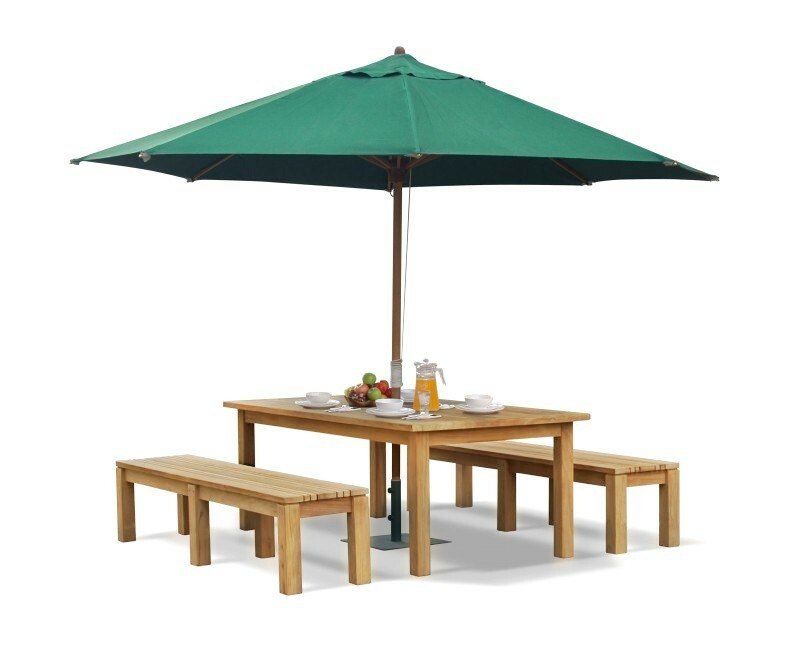 The table has been pre-drilled for a parasol and is supplied with a flush-fitting teak insert for when a parasol isn’t required and radial edges on the slats help rain to drain away quickly. 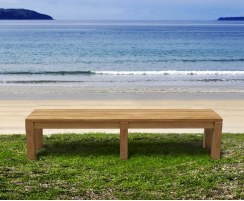 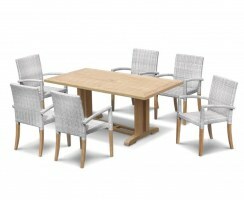 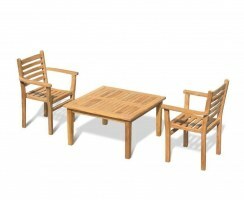 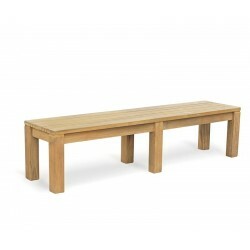 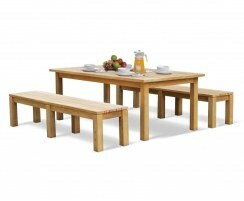 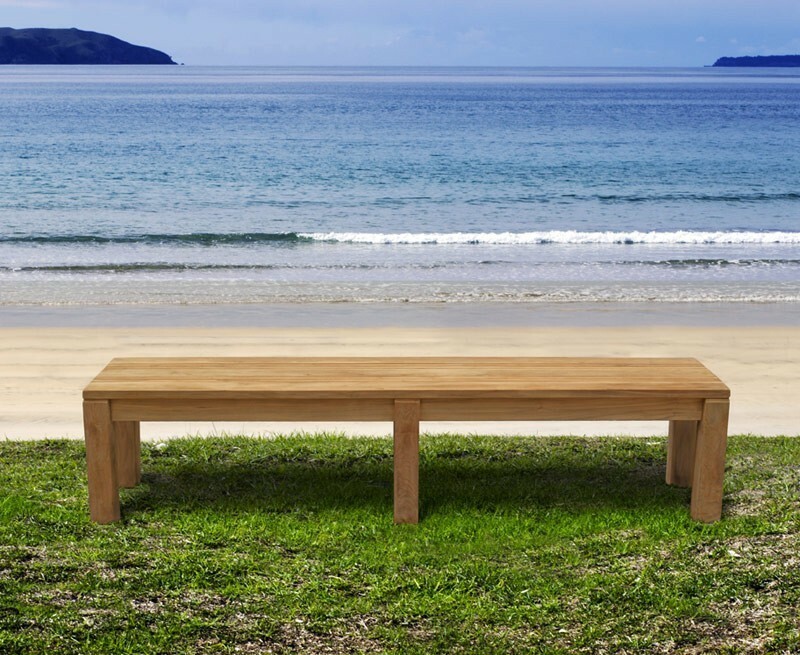 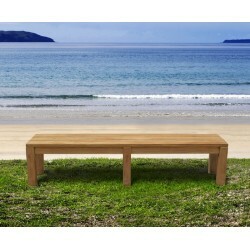 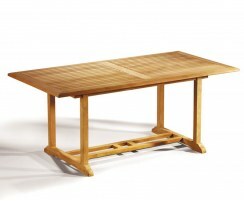 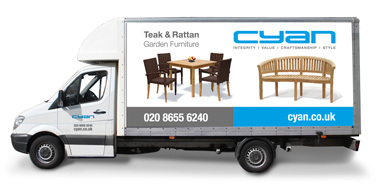 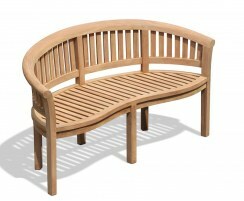 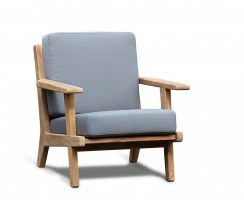 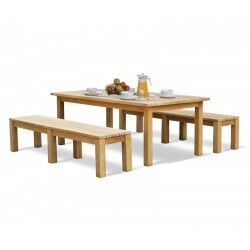 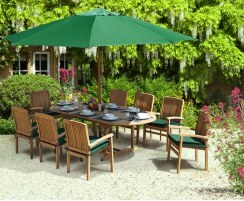 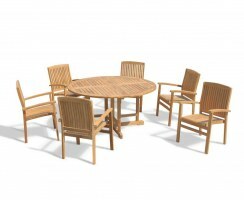 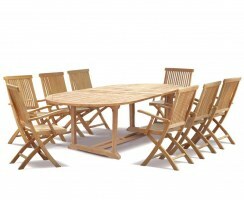 We will deliver this teak garden table and benches set to you fully assembled for your immediate enjoyment. 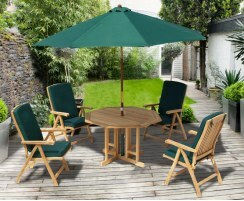 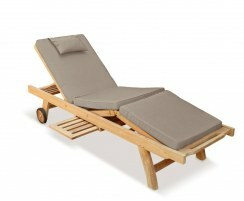 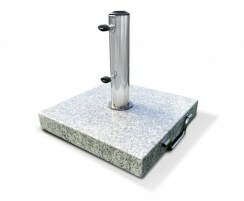 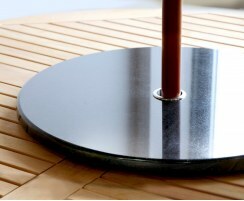 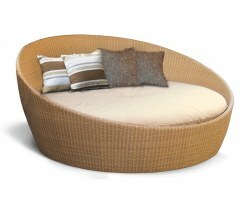 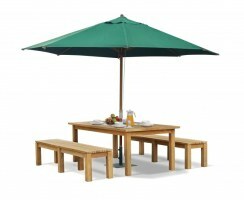 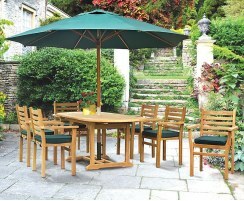 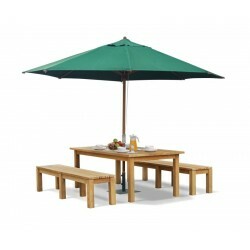 Why not complete the look with a parasol and base, (not included, available separately).